Lower Manso Full Day Rafting – Awesome! “Absolutely amazing rafting trip on the Lower Manso. Our guide, Martin was the best and our photographer, Gustavo very skillful!”. 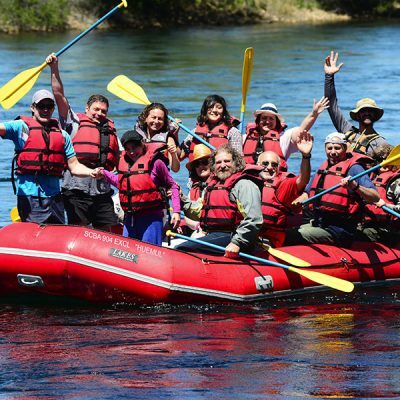 “Our raft trip was exciting and we loved the guide. He made us feel safe and they took us through some breathtaking scenery. All equipment provided and perfect for the conditions. Go out with them for a great adventure.”. 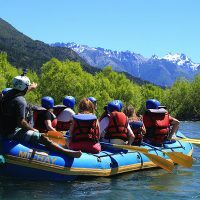 “An excellent excursion for a whole day, especially recommended for people with no previous rafting experience, included children. Guides are nice. 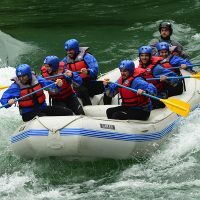 Only critic is that advice on what clothes to wear, and warn that there is no bathroom before the rafting begins.“. Beautiful scenery made even better by great guides! 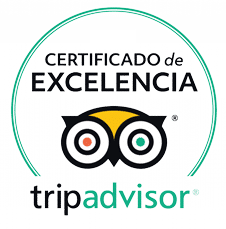 “Our excursion with Aguas Blancas was amazing! The drive to where we started our rafting journey was quite long, but we were afforded a bathroom break, a stop for breakfast (included in the price) and time to change. We were provided with a wetsuit, a water-resistant windbreaker, a pfd, water shoes, and a helmet. Our trip took place during the last week of the season, so the current wasn’t as swift, but it was still a beautiful journey, and we had the chance to swim in the frigid water! The tour guides were amazing!! “. 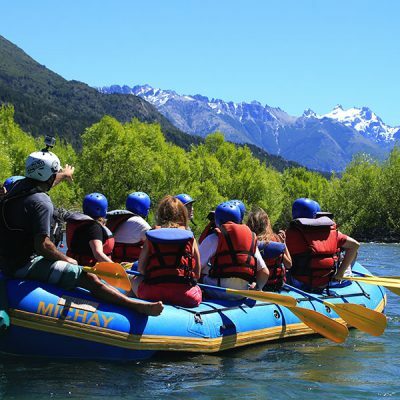 Don’t leave Bariloche without doing this. It is sooooo much fun! !